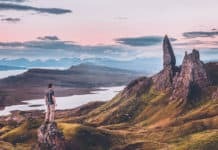 When considering what to do Scotland attractions, many people think only of the Highlands and the two biggest cities, Edinburgh and Glasgow. 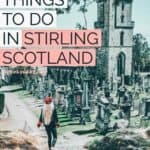 Each of those locations are great, but another phenomenal site that needs to be considered is Stirling. 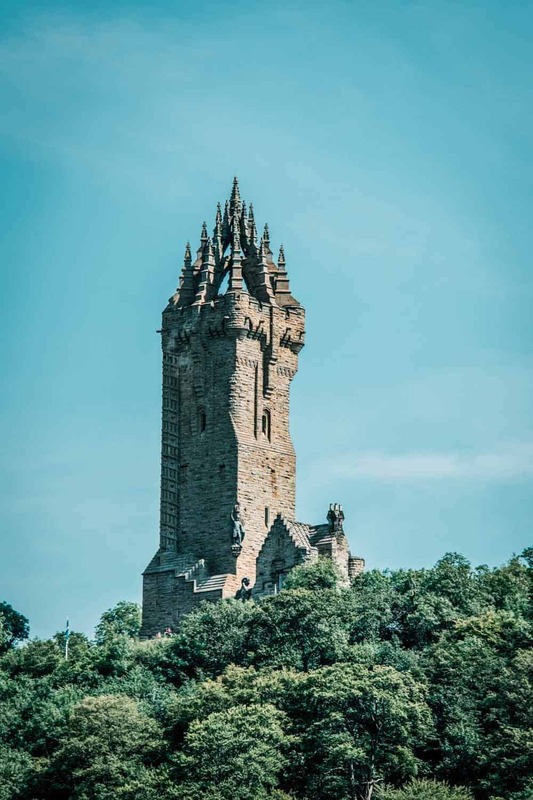 Stirling is often called the gateway to the Highlands, or the glue holding the Highlands and the Lowlands together. 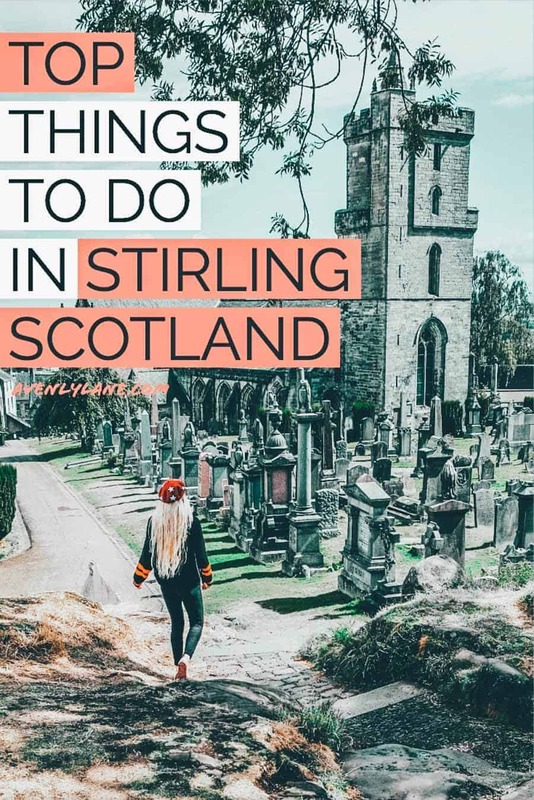 Stirling is only about 45 minutes from Glasgow or Edinburgh, but unfortunately gets passed over when people are heading up to the Scottish Highlands or Edinburgh, or back to Glasgow etc. Even though the city only has about 100,000 people, it has a ton of different things to see. When walking the former Scottish capital of Stirling I feel like I’ve stepped back in time more than any other Scottish city. 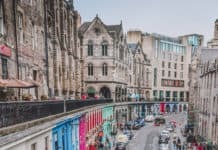 If you are looking for a Stirling accommodation, ceck out the Stirling Hotel. It is in the middle of the action, features historic charm, yet enough modern amenities to not make you feel like you are camping. 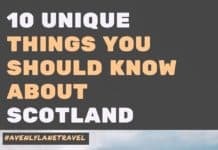 Here were some of our favorite things to do and see around Stirling Scotland. Let us know in the comments below what you would add to the list. Stirling Castle in Scotland dominates the surrounding town in much of the same way that Edinburgh Castle does its city. The difference is that Stirling is also surrounded by farmland, and absolutely cannot be missed as you approach. 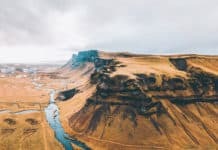 This imposing fortress stands on top of a cliff and makes it obvious to see why the site was selected for safety and defense. 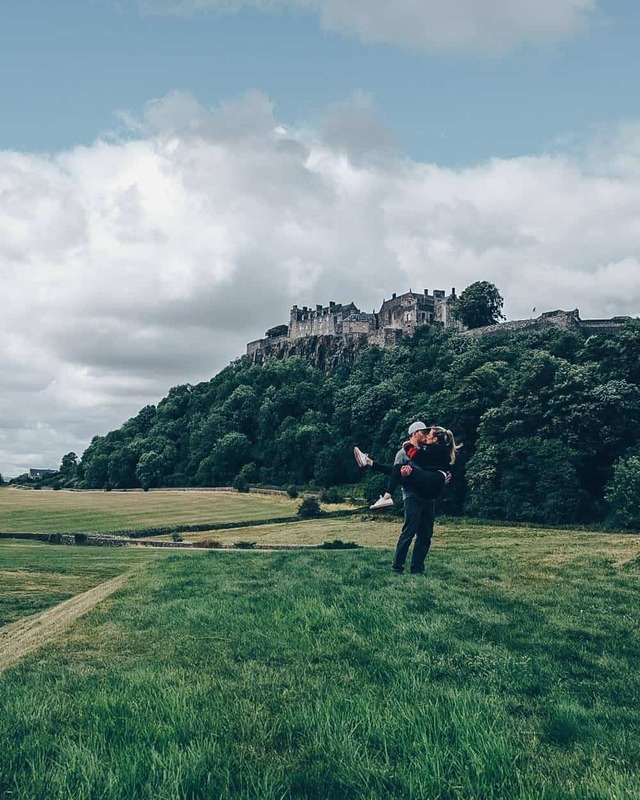 The tours and sites of Stirling Castle are actually cheaper than Edinburgh Castle, and many say that they even ended up liking it more. We loved visiting Stirling Castle because there are so many different view points that you can have all to yourself. 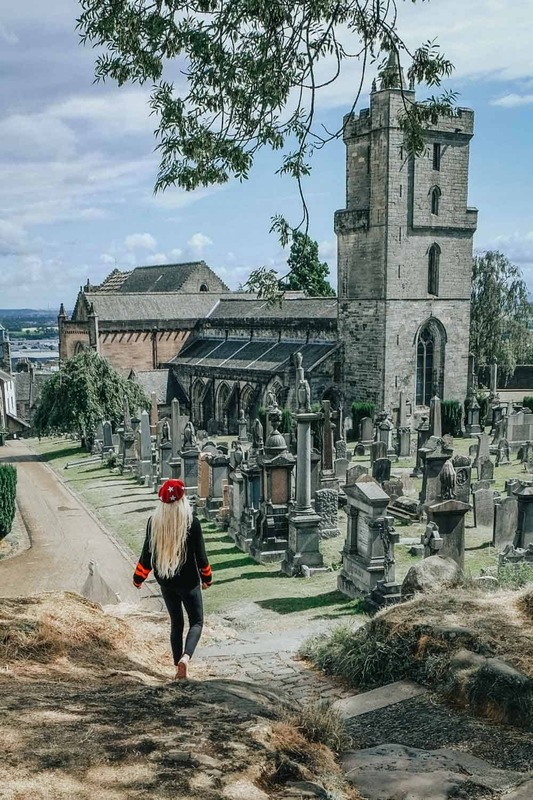 Immediately next to Stirling Castle is the Church of the Holy Rude, one of the most stunning churches in Stirling. Not only are the grounds and surrounding cemetery gorgeous, but once inside the architecture demands appreciation, and it is always fun for me to see where kings were crowned! Scott monument commemorates the William Wallace in the movie Braveheart, and even though the movie isn’t entirely accurate, there is no doubt that Sir William Wallace is revered as a Scottish war hero from the First War of Scottish Independence. Take the stairs up to the observation deck to take in views of the entire valley. Also on display is Wallace’s sword that is literally as long as I am tall. I can’t imagine fighting with a sword that big. Abbey Crag is the hill that the Wallace Monument sits on top of. For those looking for a quick but steep hike up unique rock formations Abbey Crag is for you. It only takes about 25 minutes, but if you want to go longer there are other paths taking you through off and through the forest. Be careful though since if you veer too far off course you could fall off a cliff! Another great hiking spot in Stirling is Dumya, the highest hill in the area. If you don’t know what an abbey is, think monk house, or home of some sort of religious order. Cambuskenneth Abbey is an old monastery that is largely in ruins, but is still fascinating to see and tour. 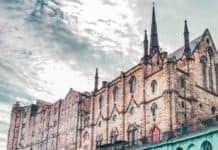 If the main castle and monument aren’t enough, there are a plethora of other historical sites around the city to make the history buff swoon. Numerous plaques and monuments commemorate various battles between the Scottish and English. For example, you can find the Beheading Stone which is a large slab with a cage surrounding it; it’s purpose is self-explanatory. The Stirling Old Bridge also is available to see the exact site of a bitter battles. 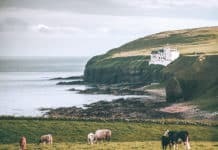 These memorials serve as a gentle reminder that even though the Scottish and English rivalry still exists, it is nothing like the bloody battles of old. 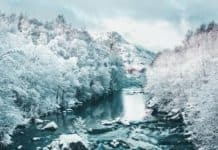 So have you visited Stirling Scotland? Anything else you would add to the list?